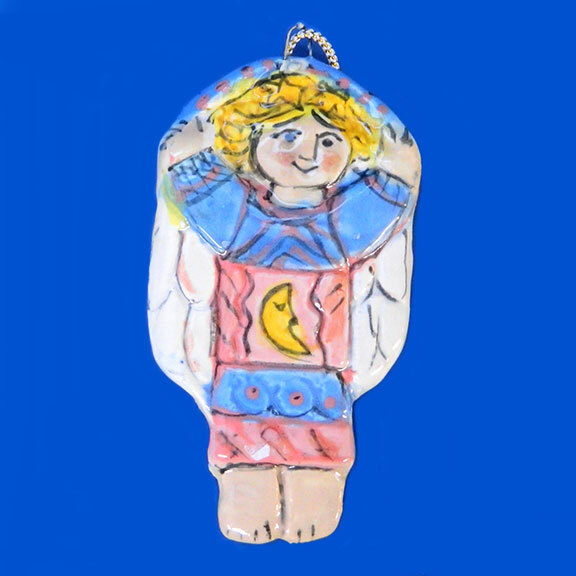 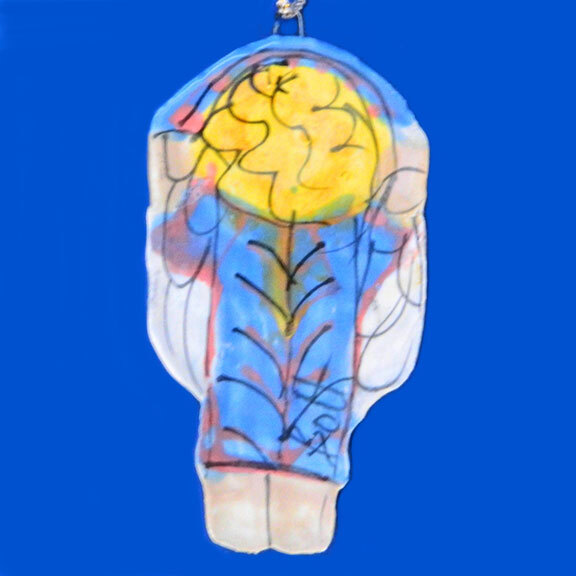 Moonlight Angel Ornament by Sue Bolt. 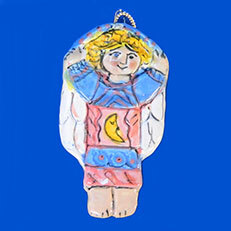 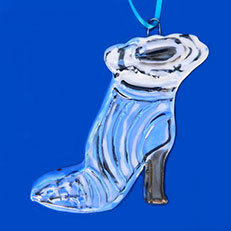 This is a hand pressed ceramic ornament and is an original work of art. 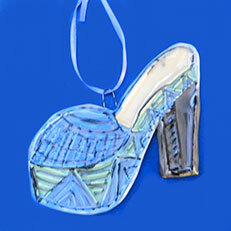 It is hand painted and comes in various colors (our choice). 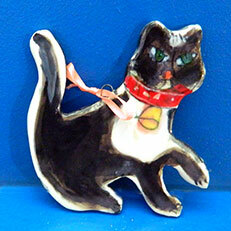 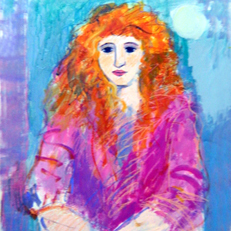 Dimensions: Approximately 5 inches tall by 2 1/2 inches wide.